I've gotta say I'm genuinely excited when I see you've posted new videos. They have a nice flow and it just feels like hanging out in the shop while the car gets better. Keep up the good work, the car looks great, if you get bored you should put it in the trailer and head south for some testing over the winter. [ ... ] The front radiator will be small enough that the Cg change is not a concern. The benefits will more than make up for the weight deficit. I'll shoot an email to my aero guy but I think he's out of the freelance aero business and doubt I'll get a reply. That was the reason for my "tufts" comment... that'll really be the determiner of if you'll want to put a leading edge device on the front edge of the front watered-oil radiator, thing. If you do tufts, you might want to have some provision for running really narrow wire front to back over the opening so you can get a better idea of the flow exiting that radiator. It's possible the hood's slope enough that you won't need it... but your exit is also pretty far back, and the low pressure from the air 'turning from the blunt front of the car to follow the hood" is probably pretty weak at your exit. Are you allowed fans on this radiator? If so, are there any restrictions on them? Since you have a good CAD drawing of the chassis- have you ever looked at it to check the dimensions of the panels you are making to cover it? And would that make it easier to make the more complex panels you are making? I would guess that the original intent of that rule is to avoid "sucker cars" designs, which would imply the meaning of "vacuum under the car" to imply the volume of air between the road surface and a plane defined between the wheel centers at rest with fuel/oil/driver. Anyone else might not be as charitable in their definition, and might be more willing to protest... which probably isn't worth your time/effort. I'll see about digging through my books, usually there's some guidelines about inlet area, radiator area, and outlet area ratios... but I reckon that this is down in a speed/Reynold's# regime outside their normal bounds... and those references are usually more concerned with extracting the most heat for the least amount of drag. whereas, assuming I'm understanding the dual intent at work here, you're looking for "good heat exchange" and "maximum turning of the flow". I'm not sure that's achieved with a constant area duct, if that's what you have right now? And not knowing exactly the precise location of the oil/water intercooler(high-low???) respective to the front grill/hood aperture(wicker bill/leading edge) versus the air intake to the turbo inlet makes one ponder even more......g'night. You need the Trophy and the accolades for all this HARD WORK....as does Ms.B yur 'painter Queen'....No more JK.....it's the era of the PINK!!! I keep meaning to measure the inlet/outlet sizes of the front rad opening but always forget. If I had to guess, I would say the opening in the hood is bigger than the grille opening. I really hope these changes will be the last major updates needed on the car. I just want to drive it and (hopefully) win in it. If I win the lottery, the only things I would do to the car would be lighter diff, racing transmission and maybe a dry sump. Those are all pretty big dollar items and I can't imagine doing them unless I felt rich. I sent pictures of the hood vent and the rest of the car to Kyle Forster from JKF Aero to get his feedback. He is the one who did the CFD work on the Pink Panther and I wasn't sure he would respond because I knew he went to Formula 1. 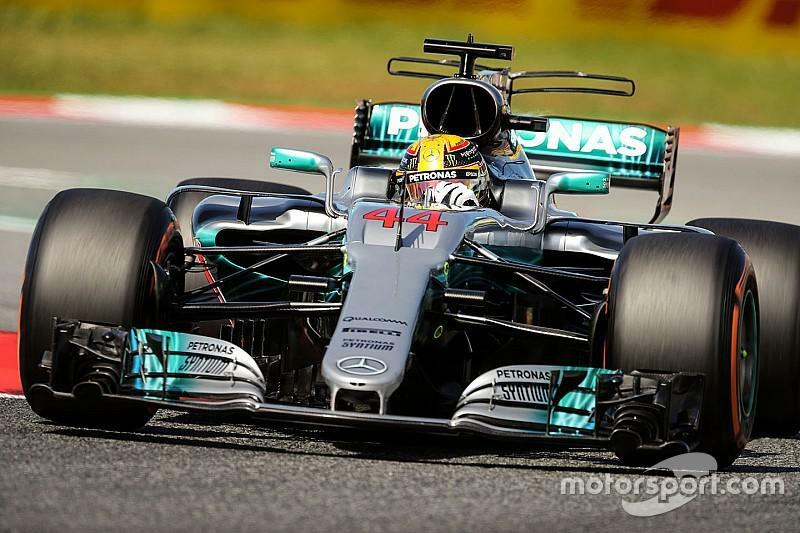 Well, he did respond and he has been working at Mercedes Formula 1 so my aero guy is also Lewis Hamilton's aero guy-how cool is that? 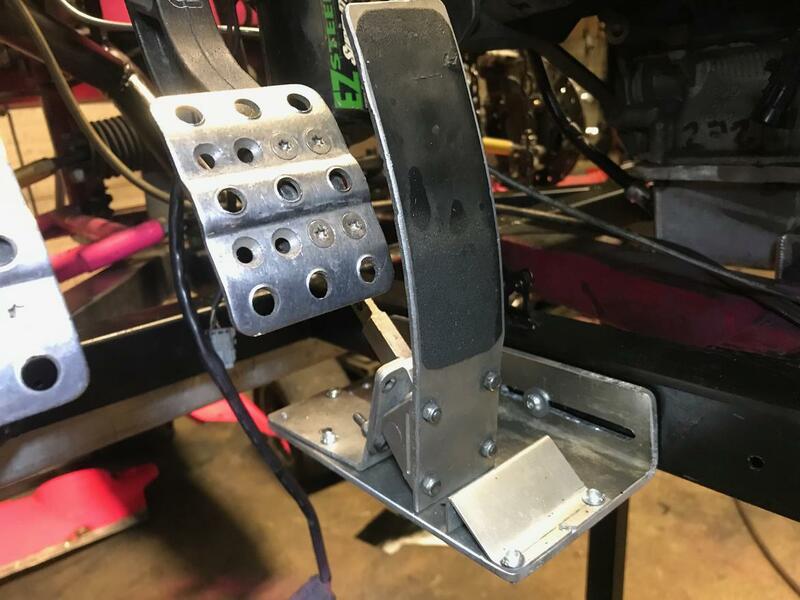 Here is what Kyle said about the front vent, although he didn't understand that it will not have a full radiator across the front of it and that definitely changes the airflow: "That roll cage positioning is definitely a lot better and should do a good deal to help with flow to the rear. A small lip on the front of the opening (looks like you've already got one?) should help with extraction, try and keep the rear duct to hood transition smooth if you can, it looks a little sharp edged at the moment. If I remember correctly your radiator used to vent out the back of the car? Moving it to the front will probably lose a little bit of front downforce (from lowering the top pressure on the splitter at the inlet) and may gain a little bit of rear from closing the back up. Looking at how high that inlet is through, I doubt the front downforce would drop much, and will be offset by the airflow being directed up through the duct." Would you be so kind for those of us that kinda know what the front ducting is trying to accomplish with one of your 'project pinky' videos showing how it all 'flows'??? 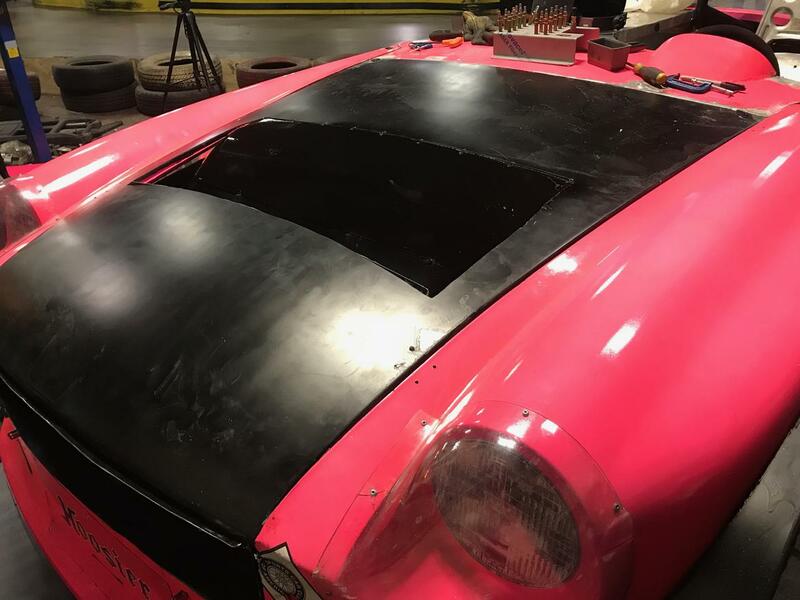 By sharing all the details of my car, I am doing what no other race car builder does. When I was finishing out of the trophies, there was no danger of competitors copying what I'm doing or protesting what I am doing. Most race car builders keep all this stuff hidden to avoid giving up secrets or inviting protest. If you read through the EM rules, there are things I'm perfectly allowed to do unless I say I am doing them for aerodynamic reasons, then I am open to protest. See what I'm getting at? I am allowed to cut a hole in my hood for a water radiator but not for aerodynamic reasons, so I have no comment on how air is going to flow through the hole in my hood. It's going to flow through a radiator and that's all that is important. Those cutouts behind my front tires? 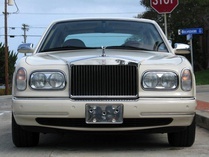 Those are NOT for aerodynamic reasons, those are for aesthetics and provide clearance for my fat front tires to turn. I just wrote 600 words about this, and decided to save it off for now. I managed to use the word "asinine", which I found out isn't actually spelled as 'assinine'. quite clearly this is being done for mechanical reasons, and simply utilize aerodynamic means to achieve it... which, you have to almost anytime you're discussing a thing having any non-zero speed through air. it looks to me, though, like you'll get the best (i.e. slowest) cooling flow into the radiator by placing it on the bottom face of the duct, angled around 45deg in the bend... since that's the location of the maximum area change compared to the entrance and exit. Although, to do that, you might need a support across the "top" of the radiator? definitely the rules. I might have made a disparaging comment about another engineering discipline that's usually the one that makes these rules. I get what you're doing, and hopefully I tread the right line with critiques of it for you... which is part of the reason I decided not to post what I wrote out. It probably had too much snark, and it probably put 'finger to nose' too much. Kyle Forster (aero guy) told me to smooth out the transition from duct to hood so that's what I worked on today. I moved the rear exit back probably 6 inches and made it smooth. It may not show up in the picture but once it's painted pink, you'll see how decent it is. here it is. 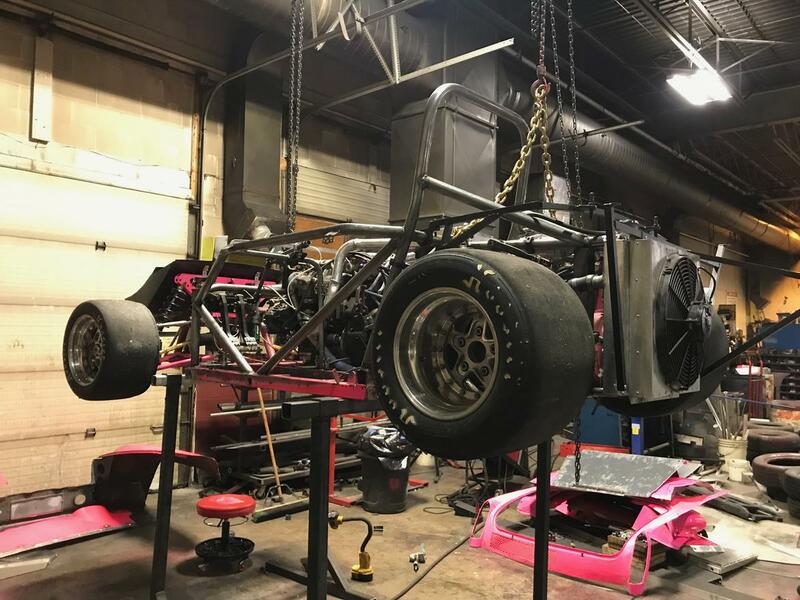 Not to take away from the "what no other race car builder does," but that's pretty much the same line of reasoning I have behind posting all the details of my CP build. I'm glad you're sharing, as I've learned a lot that can apply to my car from your stuff too. I like your build and assumed you were keeping some data to yourself. I actually went back to look at all my posts and realized that I have shared some stuff I should keep to myself and deleted it. It's the nature of competition. Your competitors can and will use anything against you once you start having success. The guy who wins EM every year used to chat on forums about his car and share videos with g force data but he no longer does that and explains that he doesn't want his competitors seeing any of that. I don't know what the CP rules are but in EM there are some things you're allowed to do for reason A but forbidden for reason B, so posting on a forum that you did it a certain way for a reason B advantage could get you protested pretty quick. Also, when there are items like spring rates/sway bar rates that were hard earned through testing or spending money, it makes sense to keep it to yourself because it's intellectual property. Like I paid a lot for the dyno time/tuning on my engine and have had people DM me asking for my tune for their engine. Why would I share that for no compensation? That tune cost thousands and I'm just going to give it away? You do note an opportunity, though. Depending on how many people, over time, would pay you for the calibration, and how much they would be willing to pay- it would be a great source to partially finance the racing. In other words, put an actual value on your intellectual property and sell it. When I first got the engine in the car and it wouldn't make boost, a fella from Germany contacted me and said he had the tune to get it running properly and it would be $1000. I agreed but then he decided that sending me the tune as a file was too risky because he thought I would just re-sell it to others. I assured him that I wouldn't but then he wanted me to send him my ECM and he would program it and send back. I agreed to that as well and said I was sending 2 ECM's so I would have a back up in case one got bricked. He demanded a bunch more money for the 2nd one and I finally backed out of the deal. He threatened lawsuit at some point, over what I don't even remember anymore but he seemed unstable or at the very least, paranoid.